Woodbury Wellness Center, Inc is proud to partner with Culinary Services Group as our dining provider. 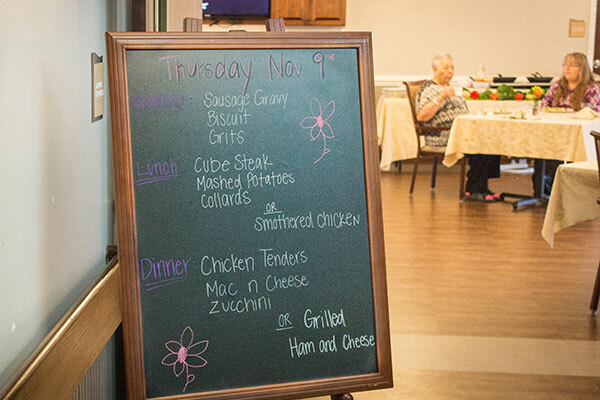 Culinary Services Group (CSG) is a Top 50 Contract Food Management company that specializes in custom dining programs for senior living and healthcare communities. Their resident-focused mission to provide a dining experience that exceeds customer expectations utilizes scratch cooking and locally sourced ingredients to create seasonal menus that offer both choice and variety. 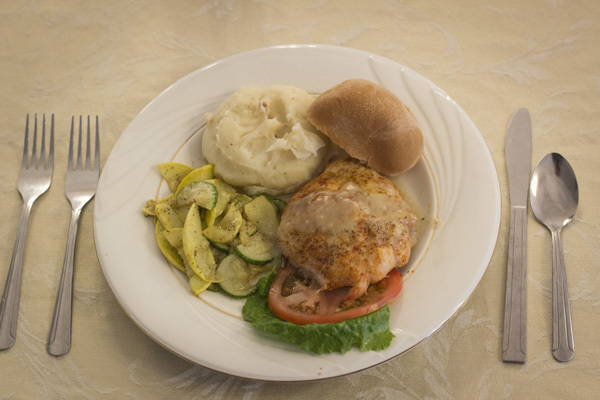 Residents have many choices and a variety of dining options. Dessert is always served at lunch and dinner; sometimes we like to eat dessert first! 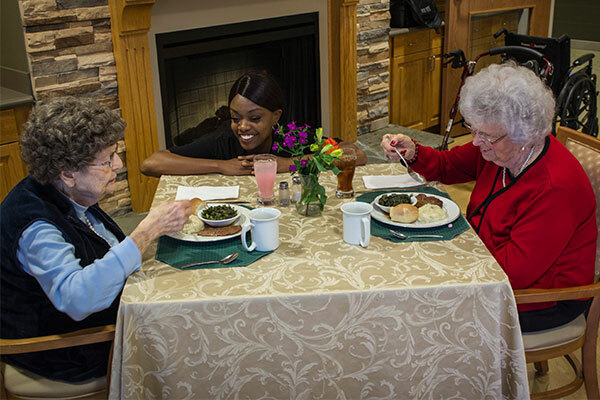 All residents enjoy and look forward to the socialization and camaraderie they find here. 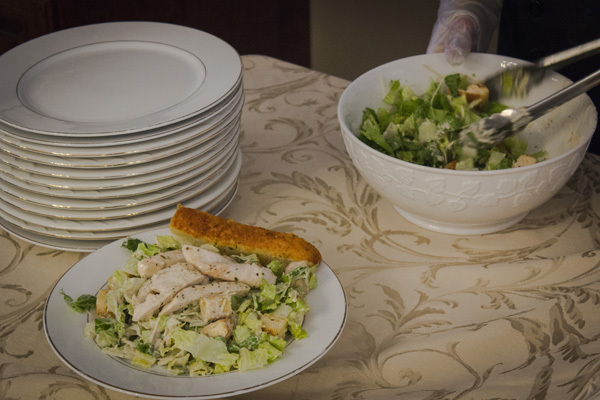 At the Woodbury Wellness Campus, you’ll look forward to your meals! Adding extra excitement to the days, the CSG Dining Team hosts themed events, along with live cooking action stations in the dining room for you to enjoy. 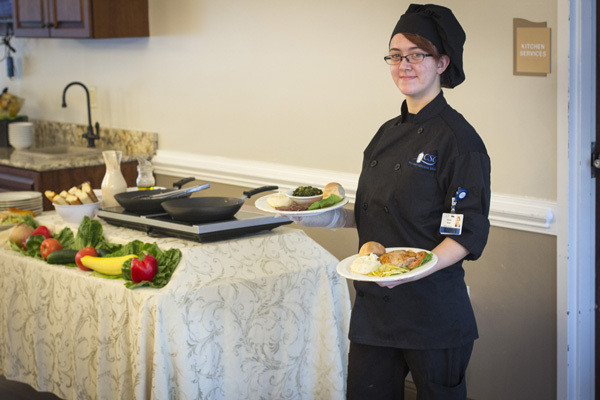 Balancing our dining program, Woodbury Wellness Center, Inc emphasizes nutritional health with our onsite Full-Time Registered Dietitian. Our chef takes pride in creating nutritionally-based events for our residents as well, adding entertainment to healthful food education.